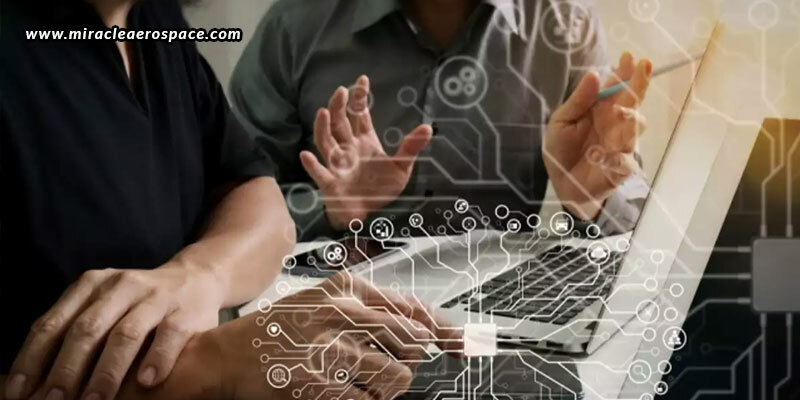 When you decide to outsource your electronics manufacturing processes to a third party, you will want to find a reliable and professional provider who can offer the best Electronics Manufacturing Services from India. One name is Miracle Aerospace, who has the capabilities of every skill, right from product and system designing to manufacturing, value engineering, and logistics. This can be a daunting task as you are required to hand over a major responsibility of a part of your manufacturing operation to a third party, and rely on him to give you the best; the outcome of which you don’t know yet. However, instead of feeling hesitant about the decision you have made, you now need to build up a good relationship with an EMS provider. And to help you, we have compiled a list of the five important things you need to focus on during the initial months of partnering with an EMS provider. If you want a long-term relationship with the EMS provider, or even if it is a short-term good one you are looking for, you need to build up the right attitude. The lines of communication must be clear and open, so that both the parties are on the same page, working towards the same goals. You need to be able to let them clearly know what your objectives are, and they must be able to effectively understand and work towards accomplishing them. There must be constant follow up and regular meetings to ensure that everything is being taken care of as required. With such reliable and regular point of contact for any queries and doubts, communication will be done in a timely manner, thus eliminating possibilities of errors and misunderstandings. You must provide every detail pertaining to your product to the EMS provider beforehand. Even the smallest gaps in data can alter the quotations and processes. So, avoid making any errors or leaving any gaps. Lack of data or incorrect data may affect production and delivery times too. So, you need to be sure that your data is complete and verified. Provide all the data to the EMS provider only after thoroughly checking it. Generally, the data that you are required to provider to your EMS provider include bill of materials, parts list, drawings (assembly, wiring, schematic), CAD data, PCB GERBER files, and test specifications. It is important that the EMS logistics team inspects each item as it arrives to check them against internal standards and procedures. Everything regarding the paperwork, part markings, codes, labels, and external packaging should be checked to see whether they all match the expectations or not. Also, the materials, finishes, dimensions, and tolerances should also be checked against the drawings provided. To carry out further checks, the EMS provider should have invested in specialist inspection equipment on site. These may include scrape testing, solderability testing, electrical testing, and permanency testing, to name a few. While building a relationship with an EMS provider, you must ensure that they have a good understanding of your supply chain, as this will form the basis of the quote for your outsourcing requirements. After all, you will have to hand over complete control of your supply chain to the EMS provider in the long run, as this is what makes sense to help the EMS provider deal with any issues that arise internally, while filling in any grey areas. It also takes away all the overheads associated with the procurement of materials and material handling, while freeing up your time to help you focus on other important tasks. This is why you must ensure that your EMS provider has complete knowledge about your supply chain so that they can manage it better. One of the most crucial elements of any outsourcing project is the NPI, which provides you with confidence that your EMS provider is capable of consistently delivering quality products. After taking all possible notes and making appropriate changes, the EMS provider is required to summarize all his findings and send you a formal NPI report for you to review. When you focus on the above mentioned five elements, you can ensure that your relationship with your EMS provider will start off on the right foot. So, take it slow, but take it right with the above suggestions.